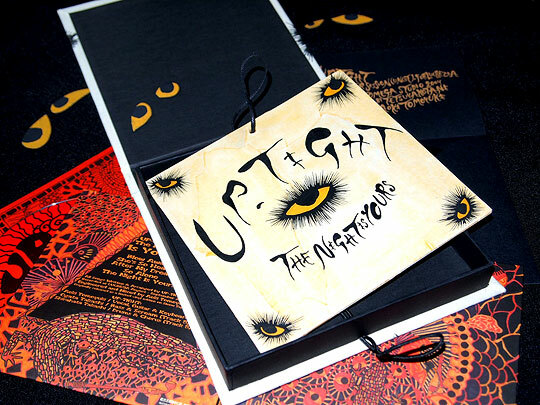 We also present The Night Is Yours as a beautifully handcrafted and entirely hand assembled sturdy boxset built as a tip-on – silkscreened and hand painted cloth over sturdy boards – art piece. 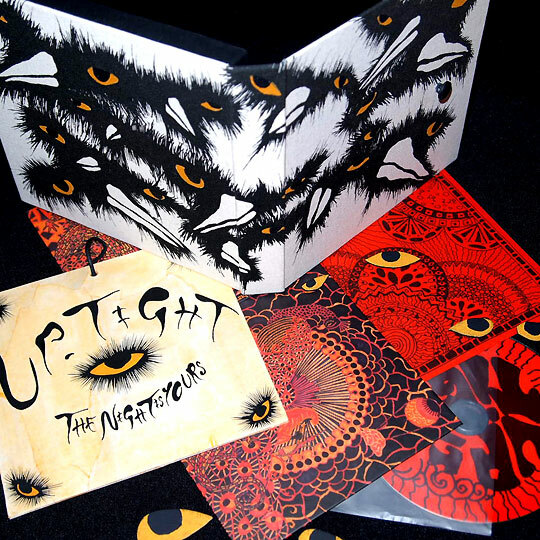 Besides the standard edition, you will also find a third eye hand drawn canvas made with collage techniques to decorate your wall, all-seeing eyes and an unheard and exclusive bonus album on CDR called Sweet Sister Session (Uncut) – For Lucrezia, which features the whole wonderful “Sweet Sister” set recorded back in 2004 during the “Lucrezia” album sessions (Alchemy Records), which remained shelved during all these years. 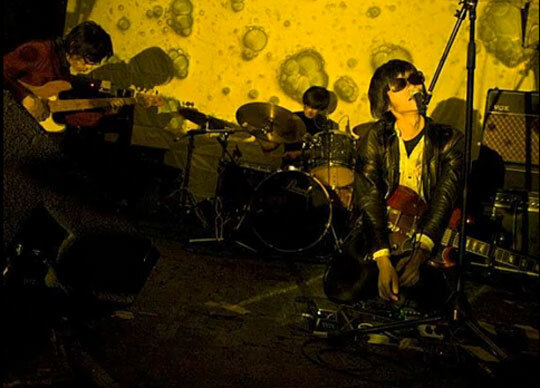 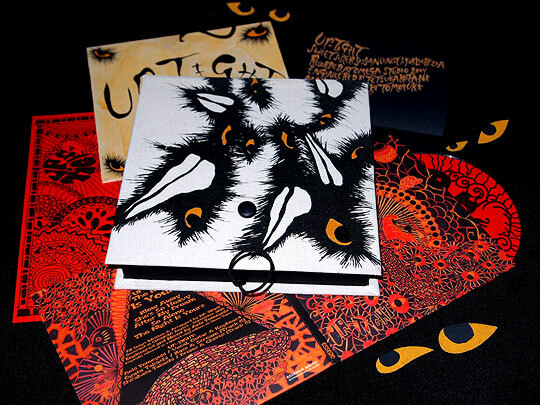 46 minutes of pure basement psychedelic frenzy housed in a custom silkscreened packaging. 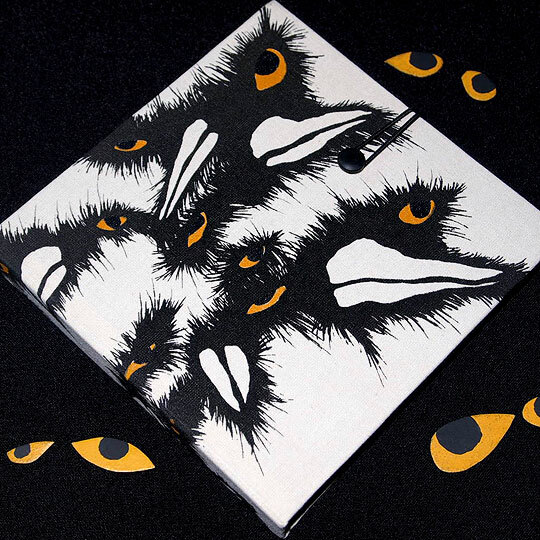 First 80 copies on black/black discs. 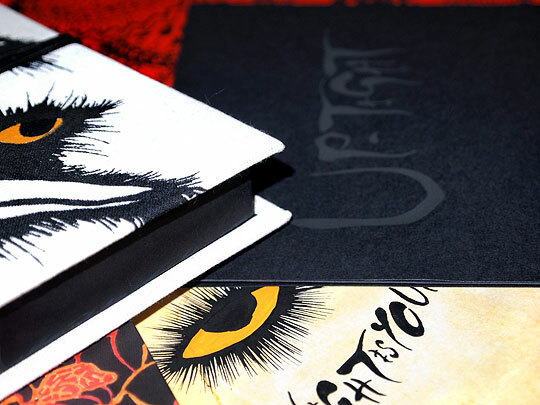 Strictly limited to 91 hand-numbered copies.